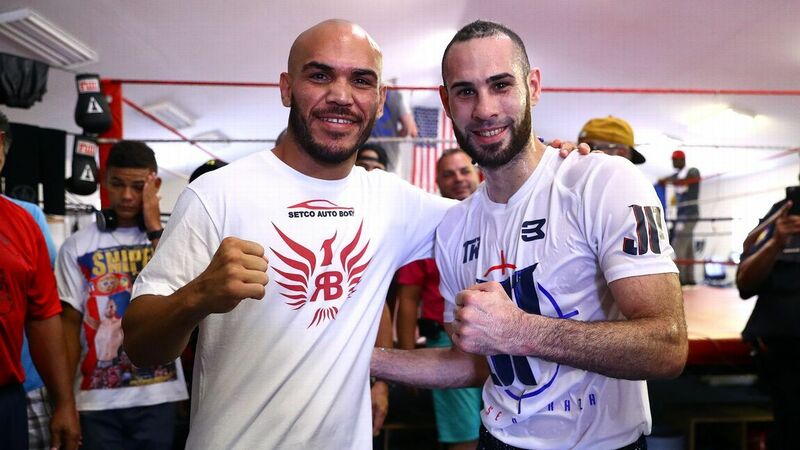 WBO lightweight champion Raymundo Beltran will defend his belt against Jose Pedraza in a 12-round bout on Saturday in the main event of a Top Rank on ESPN card that will air live on ESPN in the United States beginning at 10:30 p.m. ET from the Gila River Arena in Glendale, Arizona. Undercard fights will stream live on ESPN+ starting at 7:30 p.m. ET. The fight broadcast will begin at 10:30 p.m. ET on Saturday. The telecast also will air live on ESPN Deportes and stream live on the ESPN App. The main card includes the Isaac Dogboe vs. Hidenori Otake 12-round bout for Dogboe's WBO junior featherweight title and Mikaela Mayer's six-round lightweight fight against Edina Kiss. ESPN boxing commentators Joe Tessitore and Mark Kriegel, along with former world champion Timothy Bradley Jr. and reporter Bernardo Osuna, will call the fight from ringside. Former super middleweight and light heavyweight world champion Andre Ward and Jorge Sedano will host the studio show. The undercard broadcast on ESPN+ will begin at 7:30 p.m. ET on Saturday.